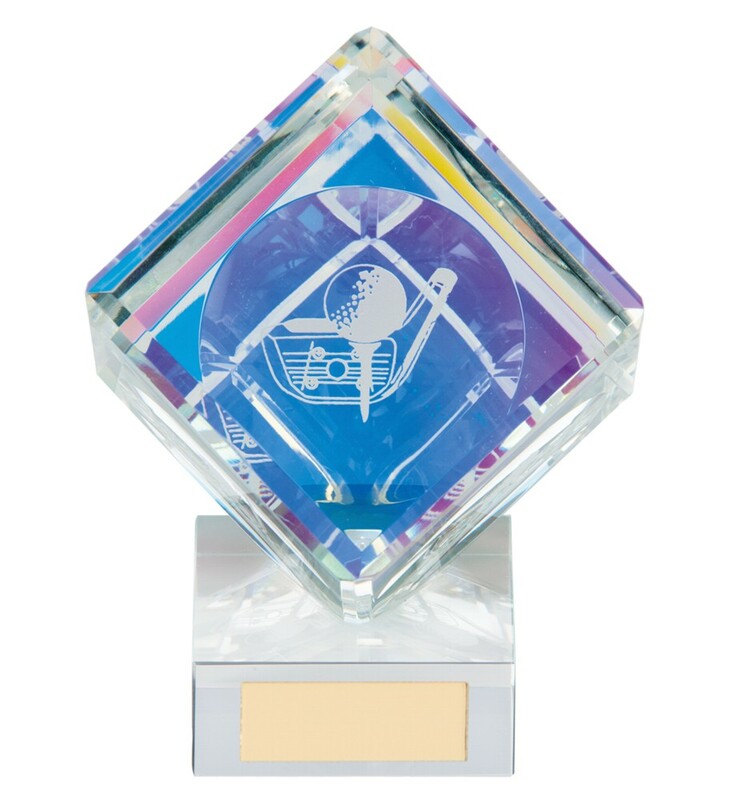 Victorious Crystal Golf Cube Trophies. Available in 3 sizes, 90mm, 110mm and 130mm high. Complete in a presentation box.